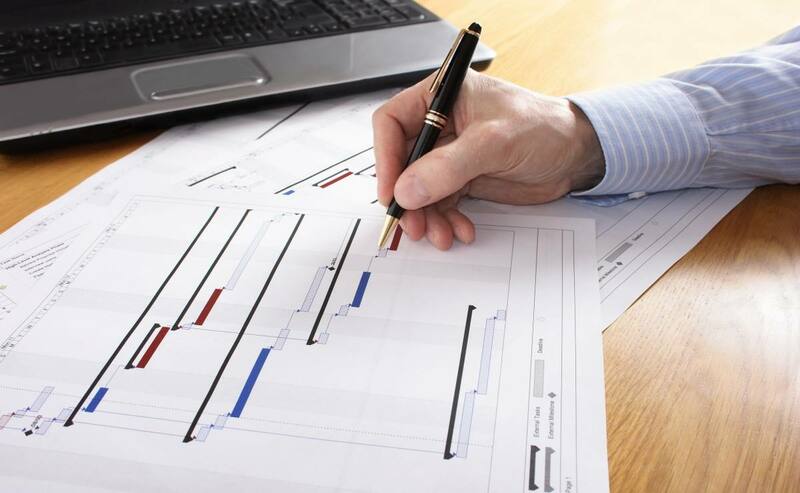 Have Project Management tools kept pace with time? I have recently been looking at optimising the way we manage projects. One thing this has led me to think is whether some of the project management tools have kept pace with the way people work today. I am not looking to re-invent the wheel. Neither am I wanting to be lazy. I am after a way to effectively manage delivery by utilising all my resources to the best of their capability. Projects have been undertaken since humans first realised they could organise themselves into a unit to achieve mighty things. Even before the discipline of project management was a recognised one, we managed to build the pyramids, the Great Wall and the Taj Mahal to name a few. Does that mean it is a profession that exists for no purpose? That is not true. Many of these projects were run by autocratic rulers who had no regard for human life. All three of the projects I mentioned cost the lives of thousands of workers. Fear for life was a successful motivator even as recently as a few decades ago in the communist Soviet Union. As we have realised fear alone cannot achieve good outcomes, we have put in effort into devising methods to manage projects in a predictable manner. We have many methodologies – most of them very mature. But it seems applications have not matured to the same extent that methodologies have. It still amazes me how many organisations still manage projects by using Microsoft Excel. The next most widely used application I have seen is Microsoft Project. That however has seen no useful upgrade between the mid 1990s, when it first came out and 2010. Microsoft has realised the folly of that approach and has been concentrating on their enterprise offering of Project Server. I have previously posted about using Project Server and utilising it to identify resource gaps. Having used it for a few years, I have come to the conclusion that it takes considerable effort to keep updated. Unless you have a PMO with enough resources to stay on it, it is nearly impossible to use effectively. Interestingly, LiquidPlanner has taken a different tack to managing projects by accommodating uncertainty through a high and low effort estimate. That is a very useful method if one is using it to manage product development. However, I was unable to find a way to use any sort of baseline that would allow me to track how the overall project is going compared to the original plan. I have been trying to think what would make a project management tool stand out from the rest. I want to get away from managing in a hierarchical manner Project Managers have traditionally operated in. I want to ensure that the people working in projects I manage have the ability to raise risks and issues with a minimum of administration effort. I want to know the status of projects as close to real time as possible, but not have to chase up for updates continuously. That only serves to annoy technical people, and is a complete waste of my time. This is the age of social media. People are used to collaborating in all aspects of their life. Being connected is not a bad thing. The project management discipline can benefit from this constant connectivity. If done well, it can provide early visibility of risks and issues, provide a platform to share ideas, sharing knowledge and lessons learned. Having a mobile presence is a must to achieve this. Some of the Agile product management tools have done well in this respect. Another complicated factor is the need to integrate the output from this with billing or ERP systems used by the organisation – in our case SAP Business One. My search is yielding mixed success. I have been looking closely at two products – WorkFlowMax and AtTask. Both seem to fulfill most of what I am after. I am keen to hear from you if you have tried something similar. What has your experience been? Have you found any products to be good in the areas I am looking for? Thanks for that William. I’ll look into it. I commend blueprint which is exceptionally impresses me as I had been also in trouble before handling out my projects and meeting the deadline. It keeps your schedule and as well as your resource in a way that you won’t be having a trouble nor get hassle. I did a quick Google search and saw quite a few PM tools with the name BluePrint. Are you able to share which one you’re talking about? A URL would be good. Appreciate your feedback. I’ll check this out. Another significant difference between ancient projects like “The Great Wall” and today’s project environment is the assumptions one can make relative to resources. In the past one could assume (if not infinite, then at least dedicated) resources – I’m sure the labor force used to construct The Great Wall wasn’t being shared amongst 6 different projects in a portfolio. Yes, today’s world has much more “science and technology” and yes, generally it is the people closest to the work who best know how to execute the TASKS, but that does not mean they should be left to their own devices in choosing the project management tool to be utilized. One does not let a production worker determine which scheduling system they’re going to use to schedule their machine – it is an integrated, single system. The same with accounting, distribution, CRM, etc. – only in project management, which is often the orphan logistical function, do you find multiple systems. This should not only be discouraged but banned – today’s project management environment is not made up of individual, disjoint projects. It is made up of portfolios of projects, utilizing shared resources across functions, offices, continents, etc. – the selection and use of an appropriate scheduling and EXECUTION tool is not to be made at the resource level on an individual basis – it is, to the contrary, potentially the most important (strategic) logistical decision management will make in today’s project driven world. – William E. Hoefle, Managing Director, Alex Rogo Ventures (www.alexrogoventures.com). Excellent points. Shared resourcing is very unique challenge. You may have noticed my subsequent post with this exact dilemma. What tools, if any have you found useful in managing this? It is a pity that you have considered only a few tools as there are much more tools that are able to satisfy you. For example, Comindware task manager. I have had a look at Comindware. I wrote the post as I started looking at the options. I’m now trailing one, looking at trialling a different one next month. If you have any more suggestions, feel free to let me know. Thank you for writing this post! I agree with most of the concerns you have raised. – We are considering PERT/ 3 point estimates to introduce in ZIlicusPM. Essentially, it is going to be approach/attempt to consider uncertainty in the schedule (plan). -The effect of social media has unfolded new expectations in terms of team collaboration, high performance from the tool and ZIlicusPM aligns with these expectations in apt manner. Thank you. I will have a look at that.